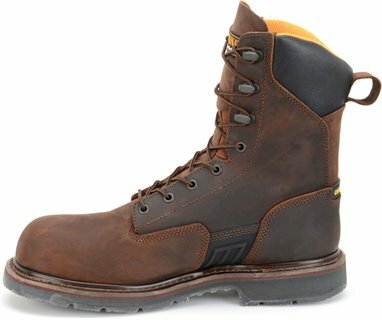 Very nice boots for the price. In a year I would like to comment on them. I put some some snow seal on them & have started to break them in. I sure will look at this site in the future. Thank you! Good arch and ankle support. Nice boot, good for spring / fall, a little too heavy for hot days. Good solid product. Can't go wrong with Carolina!! Outstanding comfort, super price and fast shipping. Product line is above the rest. Excellent work boot. Fit is very good and also good ankle support. Great boot when I got the right size. 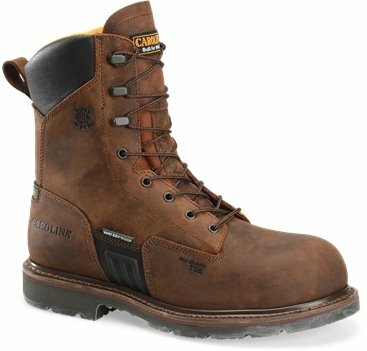 This is definitely a great quality boot, Even better looking boot than picture. We have sent it back for exchange for larger size, sure do hope that it fits this time. He has a Carolina boot that he is wearing now so they definitely fit small hopefully a full size bigger will work.